Rock climbers know that it can take a new way of looking at an obstacle to discover the path to overcoming it. 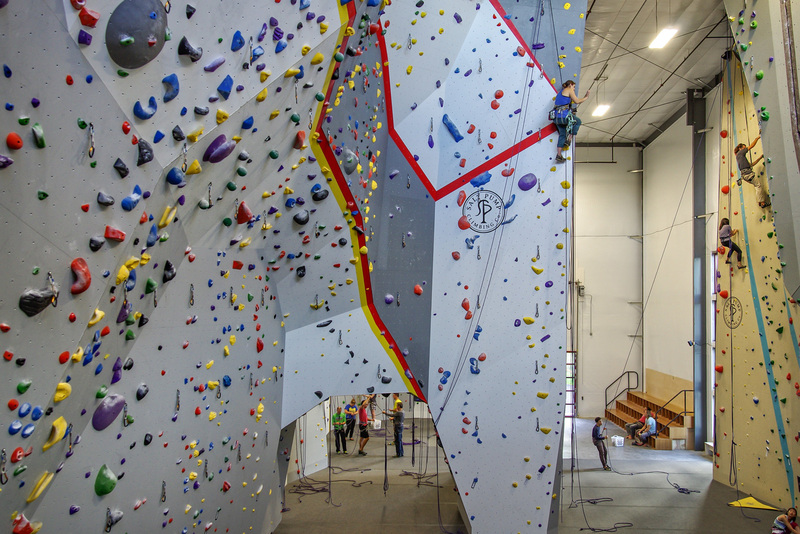 That was the mindset PCA brought to bear in its work to create a home for the Salt Pump Climbing Company’s new gym. A limited budget required that the facility’s design be based on the large, pre-engineered steel box the company could afford to erect. But drawing both customers and the approval of the local municipality’s code officer demanded an aesthetically-pleasing building that could transform the spartan shape of its source structure. Inside, the 10,000 square foot space also needed to accommodate 14,000 square feet of climbing terrain, a general fitness area, social spaces, and a waterfront deck. 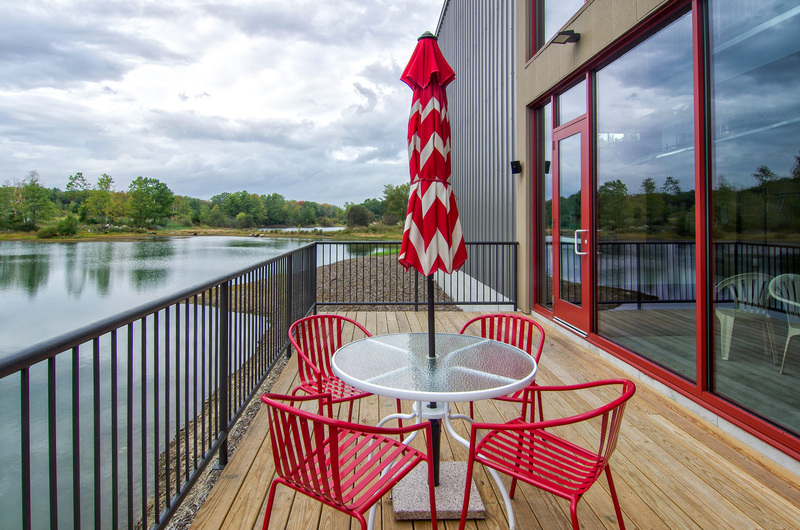 PCA developed an interior design that not only embraced all of those features, but that flooded them with natural light, mirroring the outdoor climbing experience Salt Pump was designed to emulate. Outside, a series of carefully-orchestrated design elements transformed the structure’s flat, 100-foot walls into panels staggered with frames that emphasized entries with stone-like textured panels and window treatments that will incorporate growing vines into the building’s exterior. Port City’s final plan added engaging visual details to a spare facade while harmonizing a multitude of activities in a large, active interior. 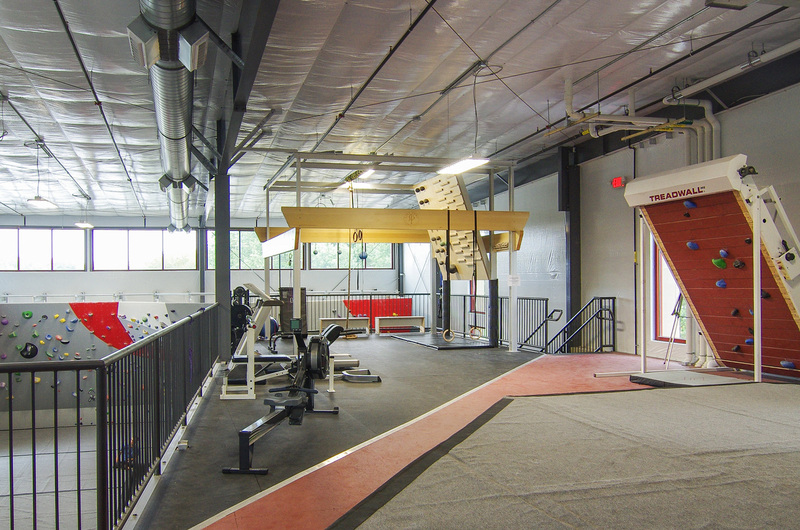 Employing these strategies with the ingenious use of modestly-priced materials allowed the gym’s partners to stay on budget to open their doors to a passionate customer base that continues to climb.